Netflix has announced a number of new shows that are heading to the service in 2018. We already revealed that Queer Eye is getting a much-needed second series and it's also been revealed that The Toys That Made will be back for a second season. 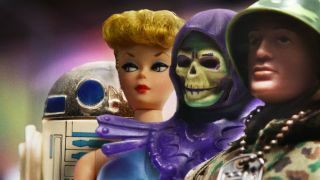 The Toys That Made us is exactly the sort of series Netflix should be making. In these nostalgic times we live in, with pop culture reference tickbox Ready Player One soon to hit the big screen, it seems that everybody wants to reminisce about the past. Netflix’s doc does this but with such love and joy for its subject matter, it's hard not to be taken in by the show which melds taking heads with the original makers of the toys, alongside archive footage and it's own dramatisation of events. While the first season had a number of big hitters, with each episode focusing on a specific toy, from He-Man to Barbie, season two will look at the Transformers phenomenon, Hello Kitty, Lego and Star Trek. This is a show that can run and run. Toys are such a rich source of nostalgia that specific episodes on even things like a Slinky would bring with it pangs of misty eyed reminiscence. The beauty of The Toys That Made Us is that it's not too serious. Created by Brian Volk-Weiss who is best know for creating a number of stand-up shows, the series fizzes with the fun that you used to get with, well, playing with toys. Even though the toys for season two have been chosen, which ones would you like to see on the show?